6 Tips To Perfect Your Diet! Whether you want build muscle or drop body fat, these 6 tips will help you determine exactly how much you need to eat for maximum results. Have you ever wondered why some people just can't seem to get in enough calories to keep from shriveling away, while others look at a slice of pizza cross-eyed and gain 5 pounds? As it turns out, we don't all work on the same metabolic platform. Bodyweight, muscle mass, height, and age all play a role in daily caloric intake. Maybe you've entered your stats into one of those online calorie calculators and thought to yourself, "There's no way this is right!" If you've ever been frustrated by counting calories or trying to manage your metabolism, this article's for you. It's time for some simple, straightforward answers to determine how many calories you need to consume based on where you are in your fitness journey. Whether you're looking to maintain your current weight, strip fat, or pack on lean mass, these tips will help you establish a framework to meet your dietary needs and achieve your goal physique. The first and most important step on your nutrition journey is to figure out how many calories you're currently consuming on average. Keep a food journal and log a typical week of meals. 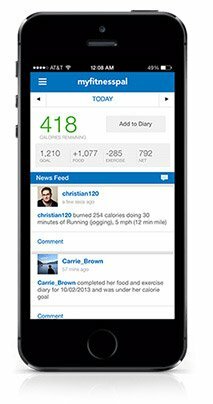 During this time, track your calories closely, either by hand or by using an app like MyFitnessPal. Then, use your intake log to figure out your average daily caloric load. It may surprise you! When it comes to the numbers on the scale, are you losing, gaining, or staying the same? If your weight hasn't fluctuated much, you know your current intake is pretty close to your maintenance—the number of calories needed to maintain your current weight. If you're gaining weight, your average intake is higher than maintenance. If you're shedding pounds, then it's safe to assume you're eating less than your maintenance intake. Finally, compare your average intake to the recommended intake of someone your age, height, weight, activity level, and gender. 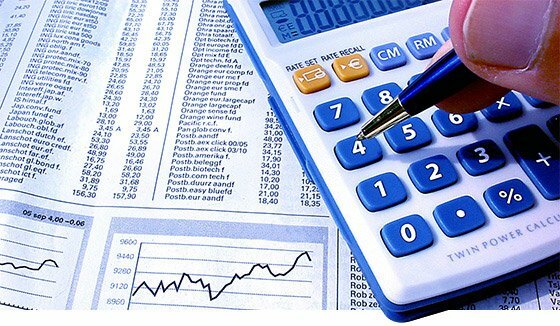 You can enter the information into an online calculator, or figure it out with good, old-fashioned pen and paper. For people like me who'd rather skip the math, at the bottom of the page is the most accurate online calculator I've found based on the Mifflin-St. Jeor equation. BMR can also be estimated simply by multiplying body weight by 10-11 calories per pound or 22-24 kilocalories per kilogram. So, someone weighing 150 pounds has a BMR close to 1,500-1,650 calories per day. If you're pregnant, add 300 calories to your estimated calorie needs (don't take "eating for two" literally!). If you're breastfeeding, add 500 calories. You might be thinking, "Why go through all the trouble of tracking calorie intake and figuring out average daily intake if I can just use a calculator?" In my experience as a dietician, not everyone has a "standard" metabolism—meaning that the numbers you plug into a calculator might not yield results that are entirely accurate. Your metabolism is not limited to whatever you're born with. While genetics do play a role, metabolism is highly adaptive. If you've been consistently eating less or more than those handy dandy calculators say you should and maintaining weight just fine, then your metabolism may have already adjusted to your current intake. Nothing good comes from crash diets. Keep in mind, anytime you restrict calories for more than a day or two, whether through diet, exercise, or both, your metabolism actually slows down to some extent. The effect is more noticeable with long-term diets or drastic calorie reduction. This explains why so many people who follow crash diets end up gaining every ounce—or more—back. If you subject your body to constant dieting or extreme calorie restriction—meaning cutting calories to less than 40 percent of maintenance—your body responds to the perceived "energy crisis" by down-regulating metabolic rate as a survival mechanism against starvation. Under starvation-like conditions, metabolic rate can drop as much as 40 percent over a 6-month period. Anytime you restrict calories for more than a day or two, whether through diet, exercise, or both, your metabolism actually slows down to some extent. Maintaining this deficit for an extended period of time results in various metabolic adaptations that effectively cause you to burn less and store more. Decreased T3 thyroid hormone results in slowed metabolic rate. Increased cortisol levels mean the addition of stubborn belly fat. Increased levels of appetite hormone ghrelin increase your hunger and longing for starchy carbs. Decreased leptin levels means that there's less of the appetite-suppressing, metabolism-boosting hormone in your system. When your body is in "energy crisis" mode, the body has a tendency to lose muscle and cling to fat. Muscle is expensive in terms of calories: each pound of muscle burns about 6 calories per day, whereas fat burns about half that. As a fuel reserve, fat also offers more bang for the buck: 1 gram of fat provides 9 calories, while muscle provides only 4 calories per gram. Because muscle is more expensive to maintain and less "fuel efficient," the body may ditch muscle mass and hold on to fat during an energy crisis. To achieve healthy fat loss, the best prescription is moderate calorie restriction combined with physical activity. Try to reduce your intake by no more than 30 percent of your total calories. Never go below 70 percent of maintenance intake. For example, if you've been maintaining weight on 2,000 calories, try to get at least 1,400 calories while dieting. To achieve healthy fat loss, the best prescription is moderate calorie restriction combined with physical activity. Try incorporating "cyclical dieting" and "re-feeding" days. A possible form of re-feeding would be restricting calories for six days in a week and eating at maintenance on the seventh day—although you could adjust the frequency to meet your needs and re-feed once every two weeks or a couple of times per week. Re-feeding days help boost leptin levels, lower cortisol, and take you out of energy deficit, even if only for a day. "Cyclical dieting" is simply alternating between longer periods of calorie restriction and maintenance. Try to limit your dieting phases to no more than 4-6 months at a time to avoid the negative metabolic consequences of chronic dieting. It's impossible to ensure that every extra calorie you put into your body goes toward increased muscle mass with absolutely no increase in body fat. If only nutrient partitioning was that perfect! At best, the natural bodybuilder who's been training long-term and doing everything perfectly can only put on about two pounds of muscle each month. If you truly want to max out lean mass gains and put on the greatest amount of muscle possible, you need to be willing to accept a small amount of fat gain. This is especially true if you are transitioning out of a lean state, such as post-competition. Don't worry, we're still talking snail's pace weight gain. Aim for one pound per week of lean muscle mass gains, though you may initially gain faster if you started out extremely lean or glycogen depleted. 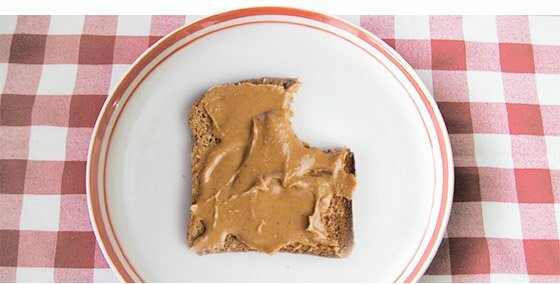 Start by adding 500 calories to your current daily intake, and maintain that intake until you plateau. If or when this happens, add another 250-500 calories and repeat. While these guidelines should give you a solid starting point, never neglect to pay attention to your own body! I recommend having body composition measurements done on a monthly basis to make sure lean mass steadily increases while body fat percentage barely creeps up. A good rule is a 5 percent increase in body fat for every 16 weeks of bulking. I recommend a cyclical approach to bulking and cutting to optimize anabolic hormones and minimize unwanted fat accumulation. This could be 16 weeks of above-maintenance intake for lean mass gains, followed by 16 weeks below-maintenance intake for fat loss. Of course, feel free to experiment with what works best for you. 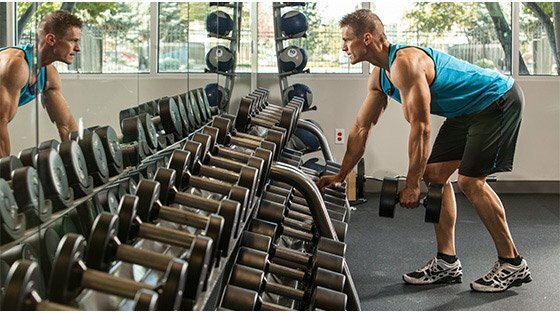 When done correctly, this approach will yield considerable lean mass gains while you stay pretty darn lean. While these guidelines should give you a solid starting point, never neglect to pay attention to your own body! Your calorie needs might need to be higher or lower, depending on your unique metabolism. Also, remember to be patient when making changes. Just because you don't see results in week one doesn't mean you should start one of those crazy crash diets or binge on everything in the fridge. Anything worthwhile takes time, and this is no different.